Contact John-Henry for session rate. 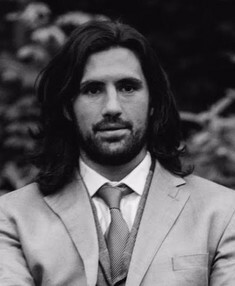 John-Henry graduated with distinction from Oxford University with an MSt in Psychodynamic Psychotherapy. He is currently completing doctoral research at Oxford University in the psychoanalysis of dreams. Prior to becoming a psychotherapist, John-Henry played professional rugby in several successful teams, winning the Guinness Premiership, European Cup and Varsity matches as Captain at Oxford University. He works privately in Oxford, at a school near Reading and in a clinic on Harley Street in London. He also offers online sessions, which can be combined with face to face meetings at your convenience. Please go to www.thediscoverytherapy.com for more information. John-Henry offers a unique service encompassing relational, psychoanalytic and psychodynamic theories tailored to the needs of the client. The space is comfortable, confidential, secure and discreet. He works with individuals and couples suffering from a range mental health issues including: anxiety, depression, eating disorders, addictions, relationship issues, trauma, grief and change, anger issues, identity and self-esteem, self-harm, suicidal and existential issues.